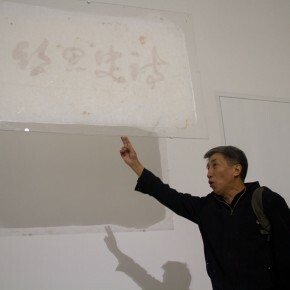 As the statement by curator Feng Boyi in the Preface for this exhibition, the reason why the three artists are invited to the exhibition is that they consistently create with vigor and their individual features have been deeply carved in their visual texts. 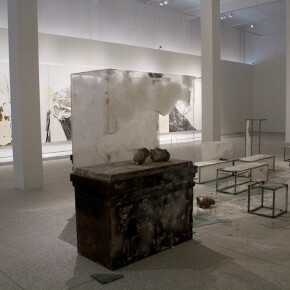 Their works have far less to do with comprehensive borrowing and organic combinations of the traditional and the contemporary, and of eastern and western classic arts, than to do with their references to clarifying past creative consciousness, knowledge accumulation and visual experiences and in trying to present a fresh oriental feeling in ideas and ambience. 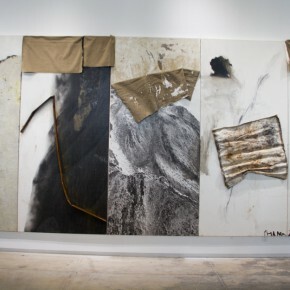 Their arts are not only information delivered through images and forms, but also an integrated expression of multi-faceted scenes and the relationship among these scenes. 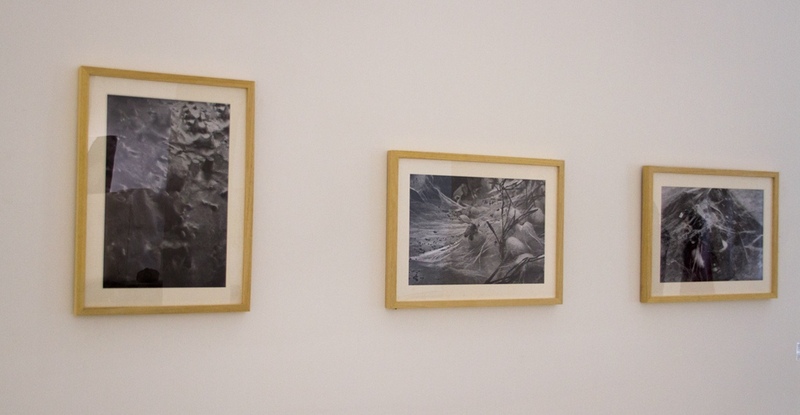 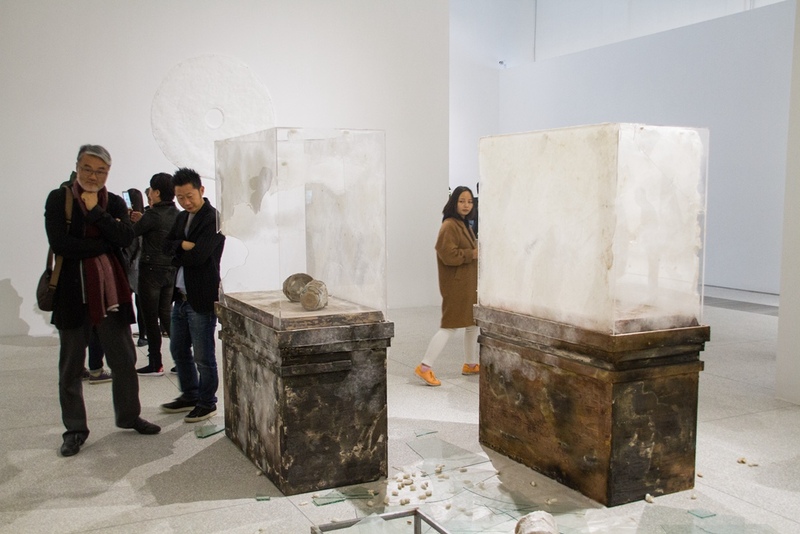 In this exhibition, Shang Yang’s three Left Mountains and his latest media work Left Water, possess the consciousness of problems related to a realistic environment. 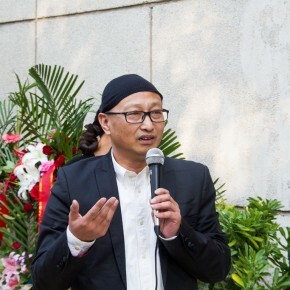 He points to the “great jump”-like the modern period which China is experiencing, especially the worship in the endlessly subjective ability of epistemology and to the unlimited development of natural resources in the field of economics. 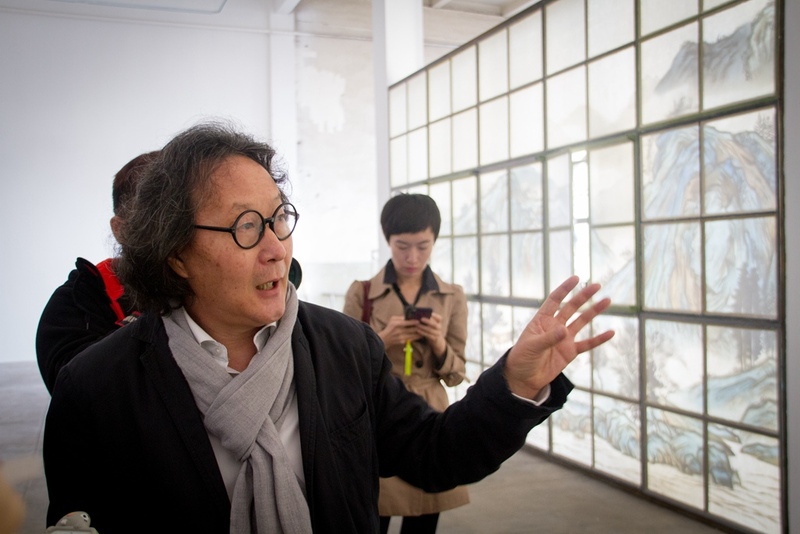 When modernization roars toward us with its appealing temptation and extreme crisis, what he wants to disclose and criticize is the uncontrollable and damage that is hidden behind it. 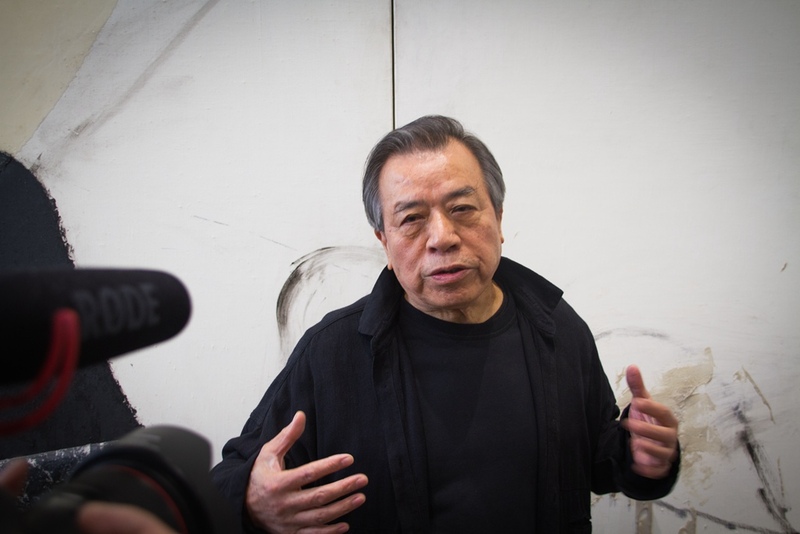 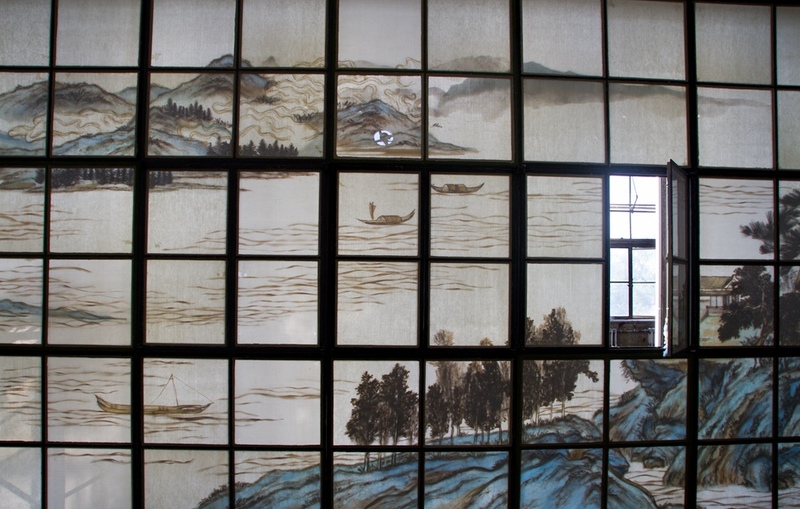 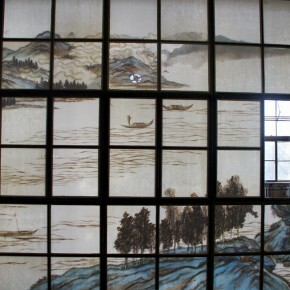 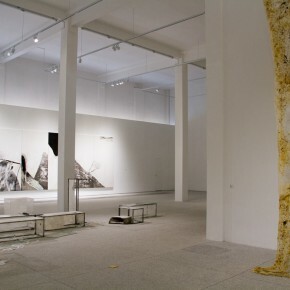 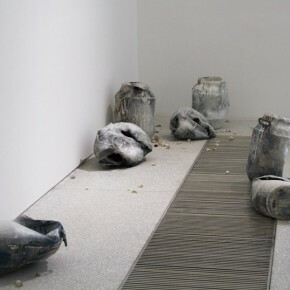 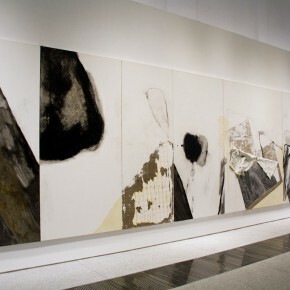 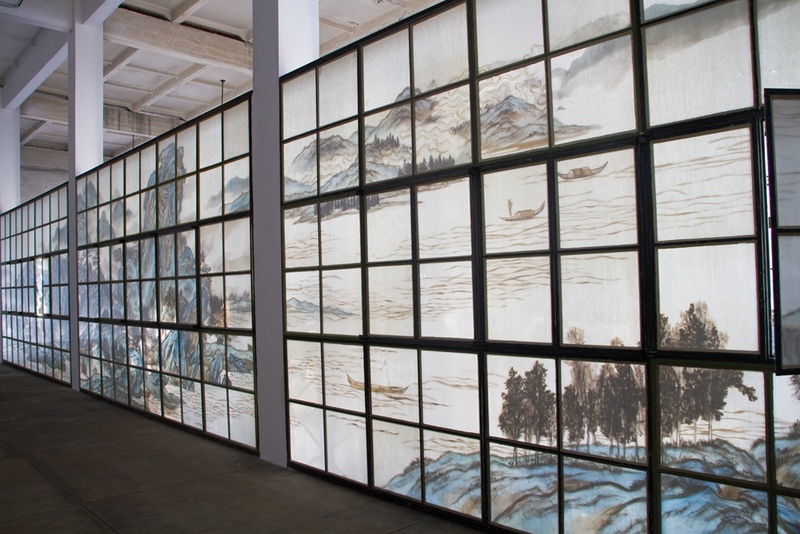 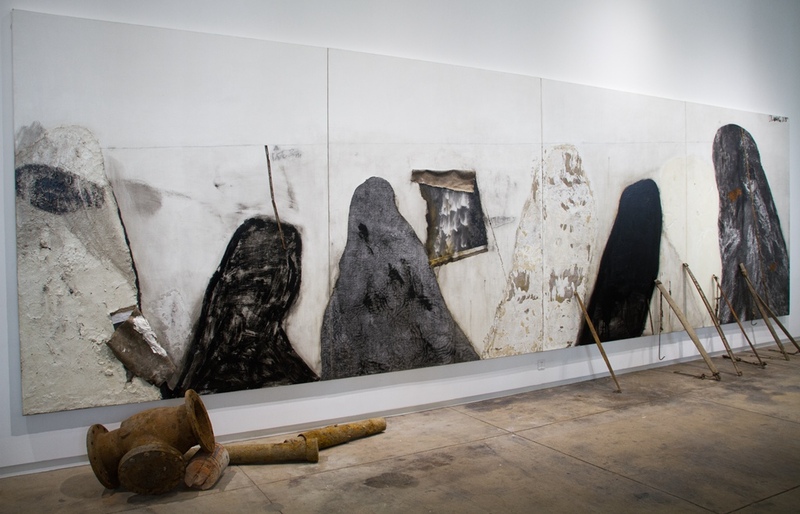 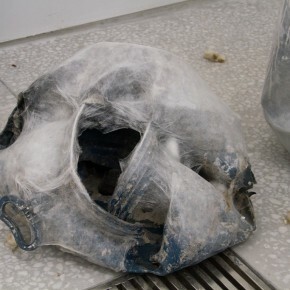 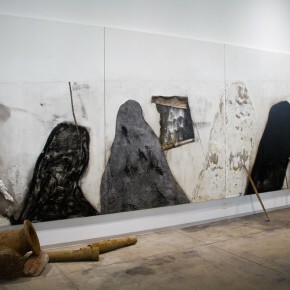 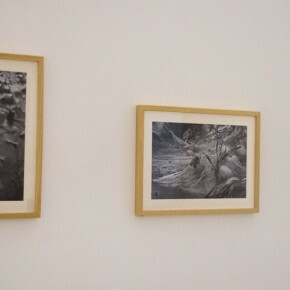 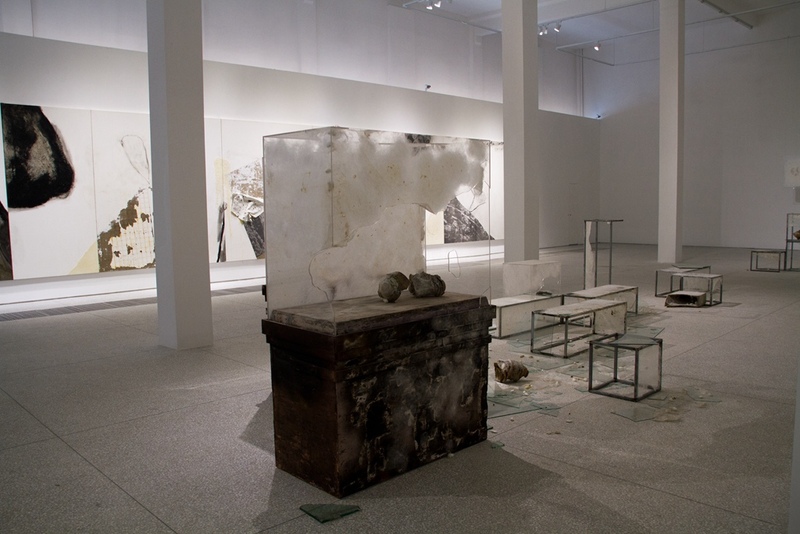 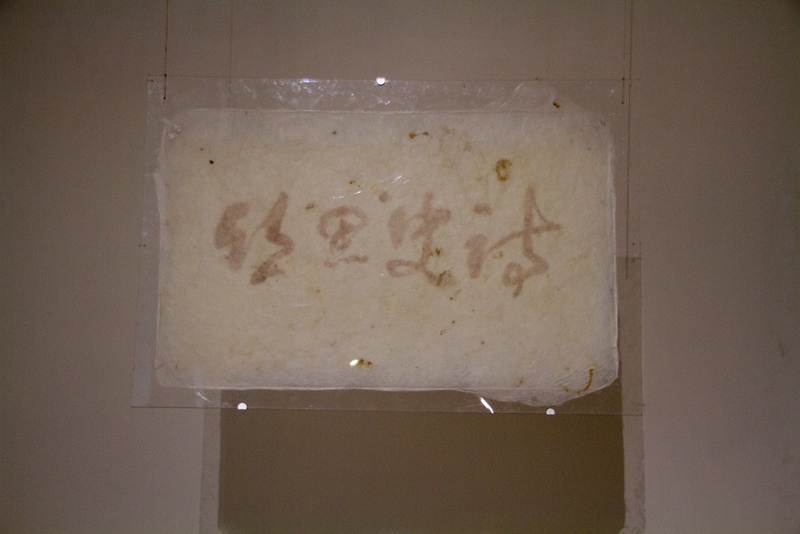 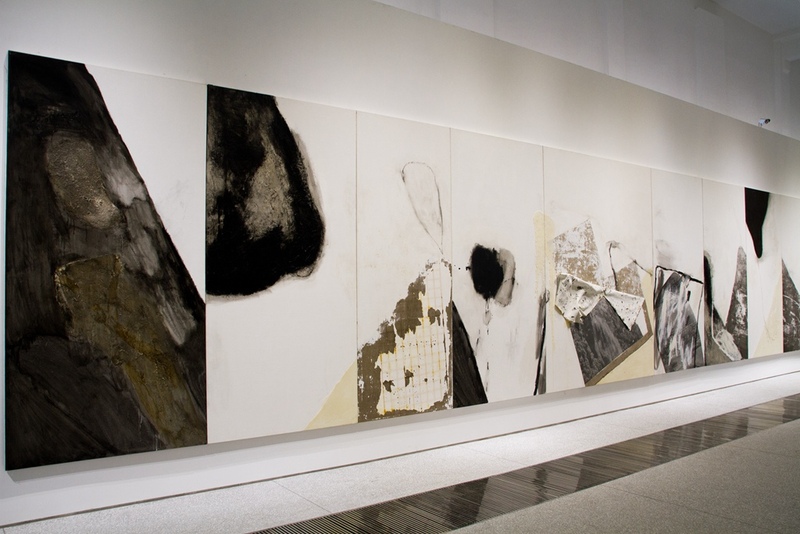 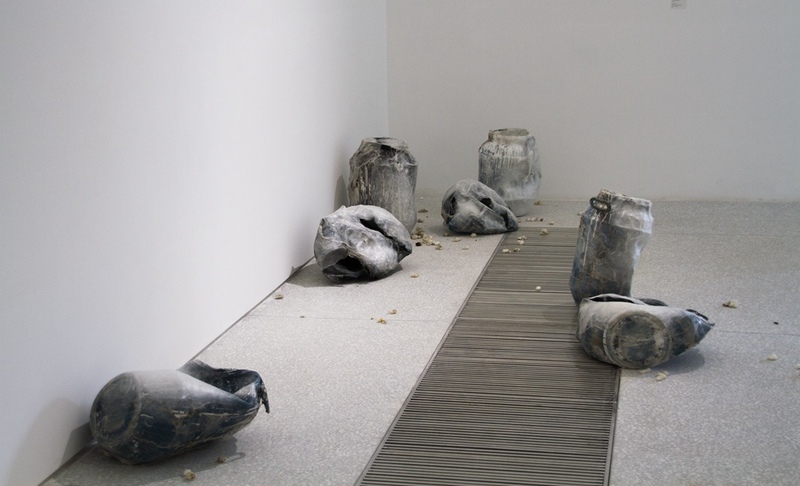 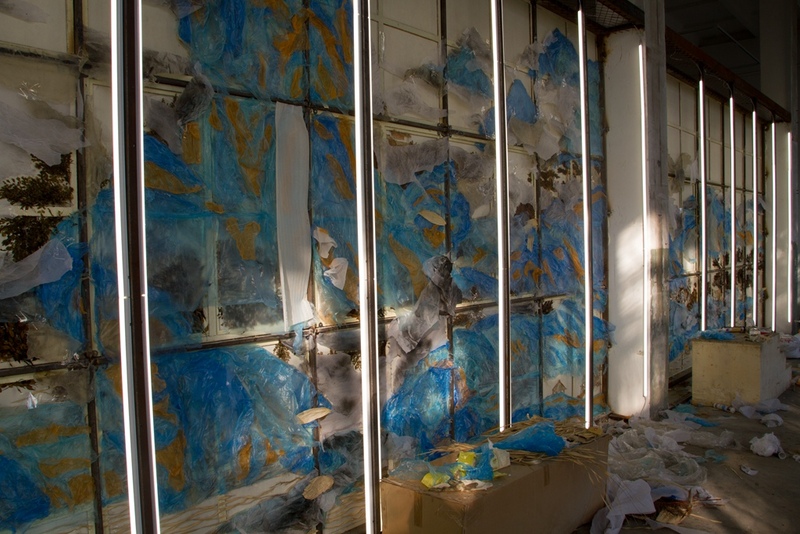 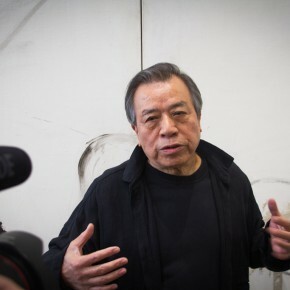 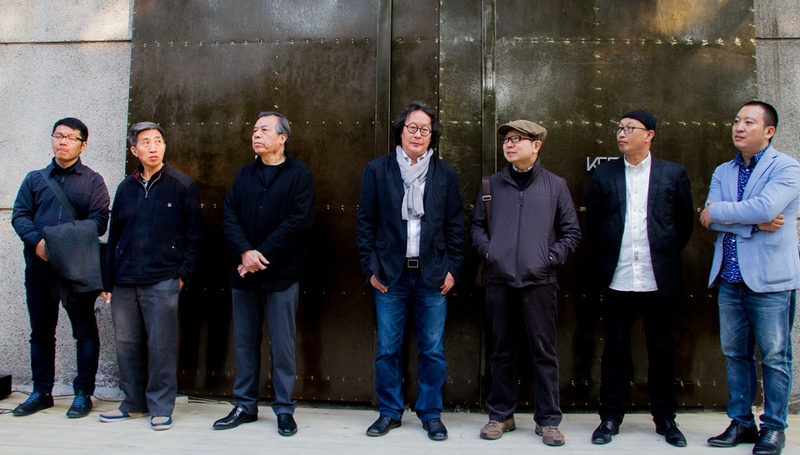 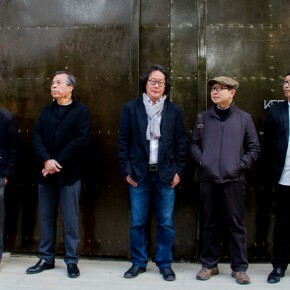 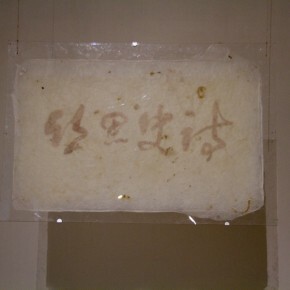 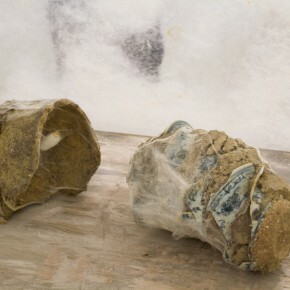 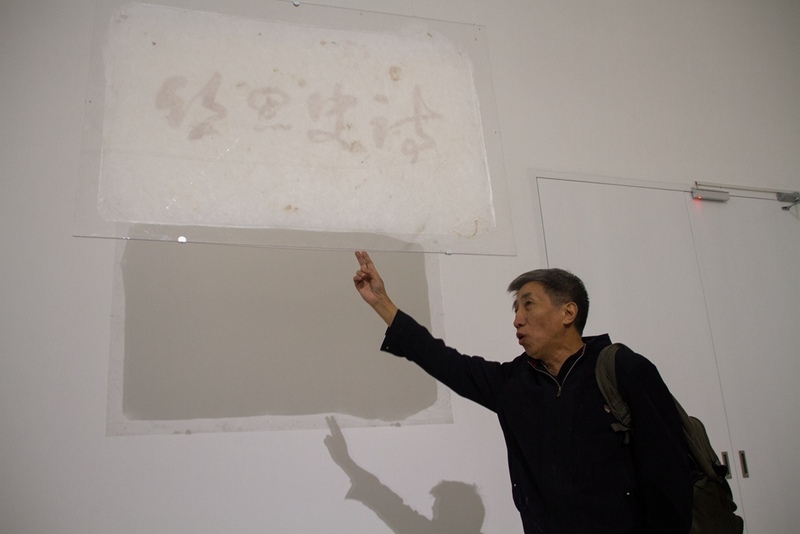 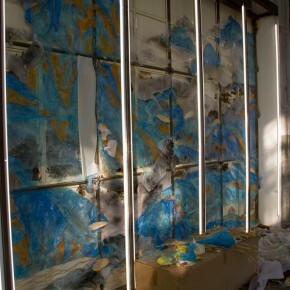 When his solo exhibition was held in Suzhou Museum in 2013, he transferred Dong Qichang Project into Left Mountains, which directly points to the Three Gorges Project, the hydrographic surveying scale, carrying pole of immigrants, phone numbers that cannot be dialed, noisy states before the immigrants left their hometown, these are just the abstract remains of the work. 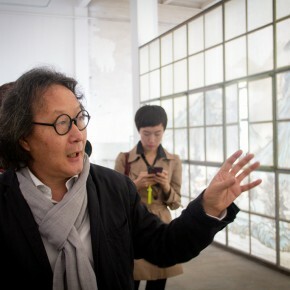 Xu Bing creates and exhibits his work on the spot, The Story Behind: Beijing the Third Plastic Factory’s Landscape of Mountains in Autumn, turning certain limitations into a special new work by making good use of an existing background, space and environment of the Kylin Contemporary Center of Art and even its rubbish in renovation. 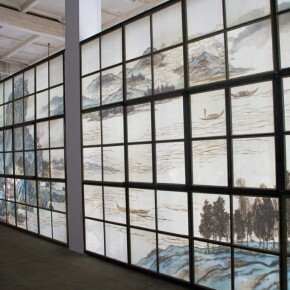 With the mirror-image relationship of emptiness and shadow, which only exists in this work, he completes the shift from past experiences of “to see” and “to be seen” when people appreciate works from a new angle and display an art methodology with a special application and transformation of the wisdom and thinking methods of Chinese traditional culture. 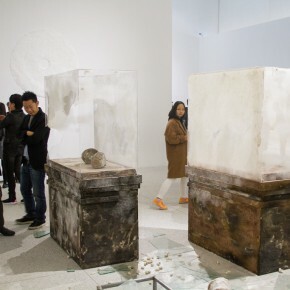 This group exhibition constitutes a metaphor for an invisible but unlimited power in Chinese reality, and displays the judgment and creation from the three artists’ sensible thinking. 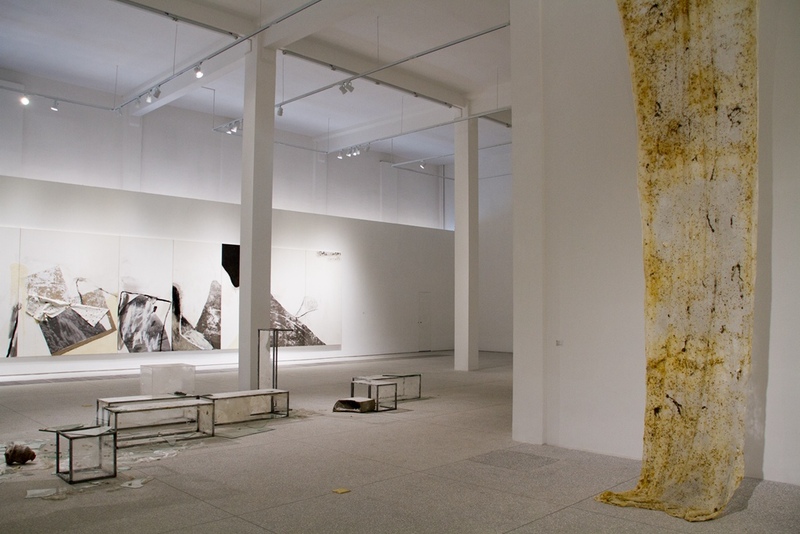 For years they have lived in the circumstances of contemporary culture, and made artistic experiments and thoughts the trend of modern art. 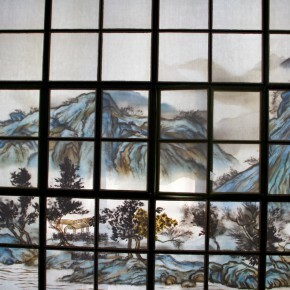 They don’t simply stay on the level of symbols of Chinese tradition and contemporary cultural resources, there is much less abuse of the Chinese elements. 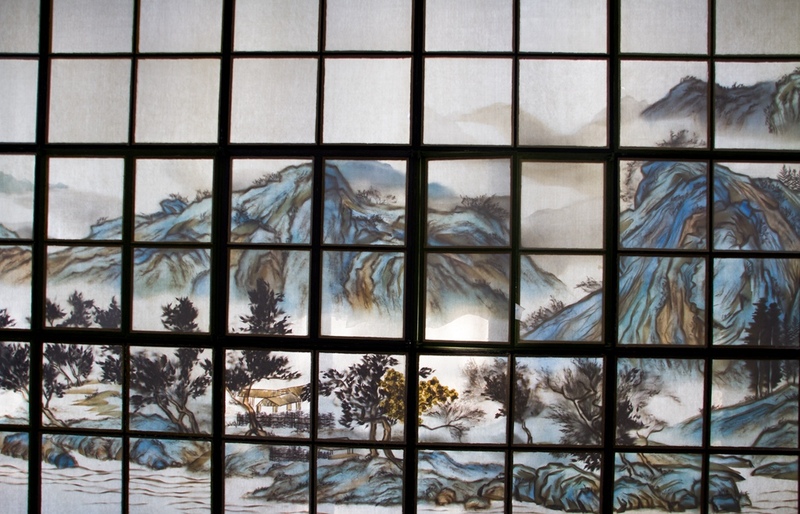 What supports their ideas in artistic creation is the philosophy of Chinese wisdom. 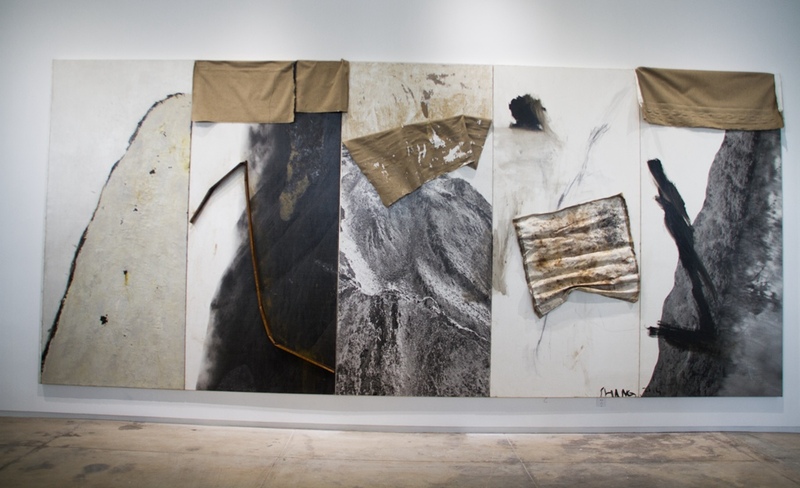 Their works, is independent from the frame of contemporary western art theory, removing the mode of seeing works through profound theories and interpretations which are popular in the past and at present. 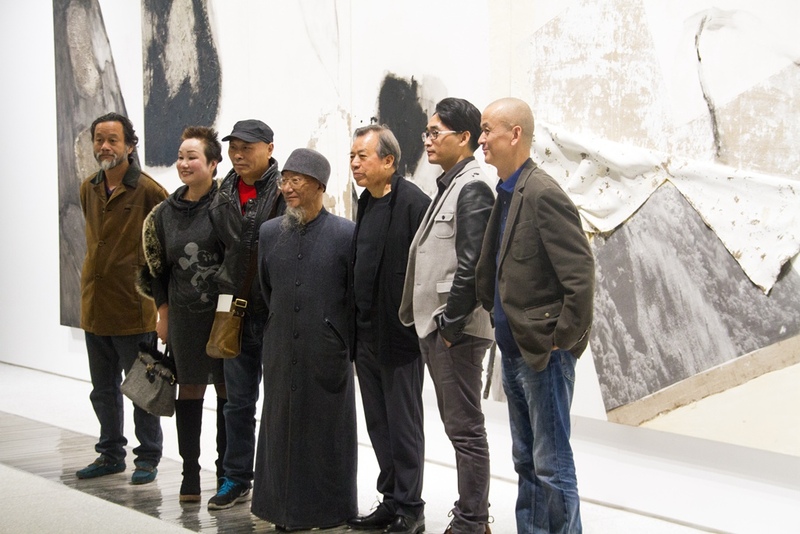 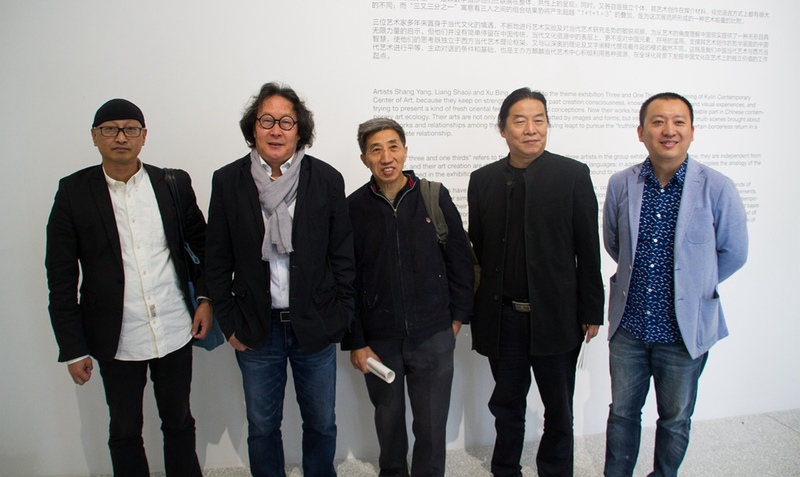 It is on this that the equal and active dialogue between Chinese contemporary and western contemporary art should be based. 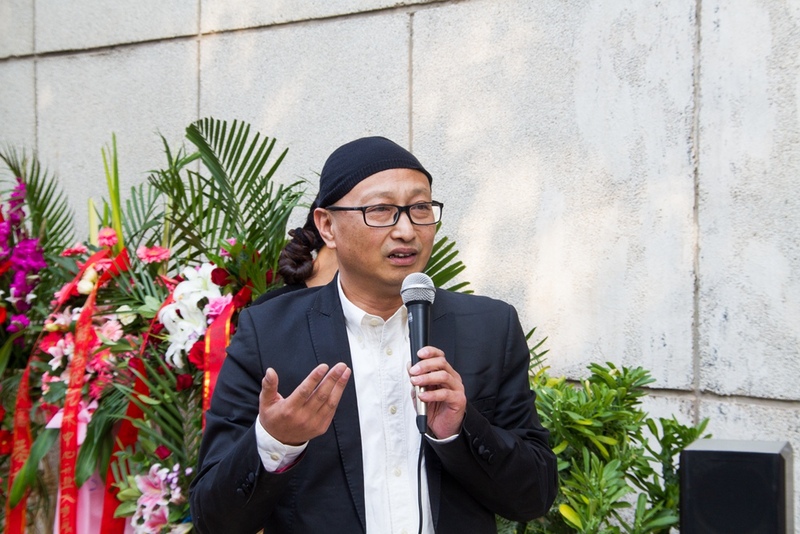 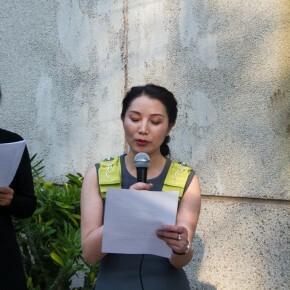 KCCA is a completely new space for art, KCCA Director Zhou Lijuan stated in the opening speech that, Kylin Contemporary Center of Art, belongs to one of her cultural ideals. 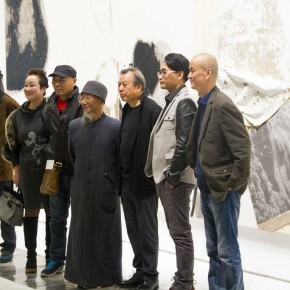 She hopes artists as well as their works can be sorted out, researched and promoted from the perspectives of academic studies and art history, further it will contribute the artistic communications and activities between China and other countries in this unique historical condition of the rapid economic development in China. 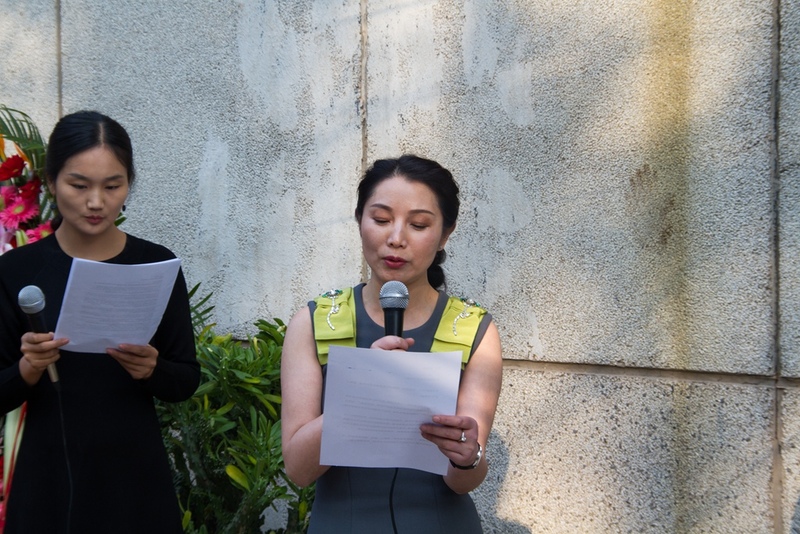 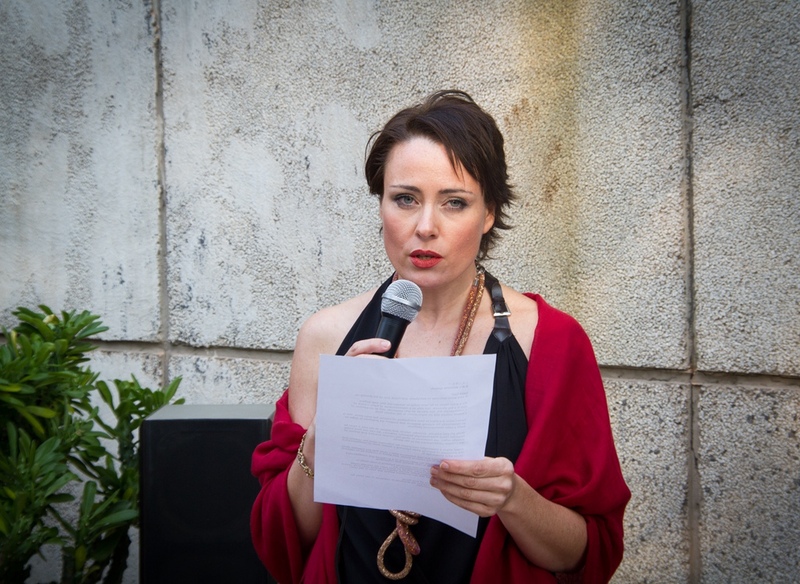 Deputy Director of KCCA, Cecilia Freschini, expressed that they will devote themselves to exhibiting the current art system in China, undoubtedly this exhibition represents a varied and profound cultural resource. 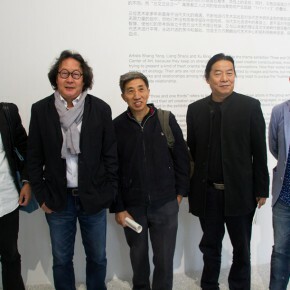 Kylin Contemporary Art Center, founded in London in 2014, is devoted to promoting the local aspects and globalization of Chinese contemporary art while emphasizing art on an international level and introducing and spreading Chinese aesthetics and oriental wisdom. 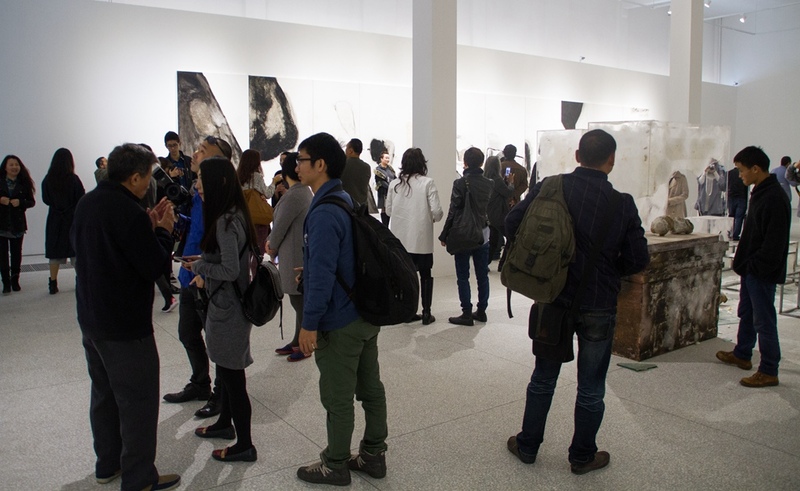 It also studies and documents the history of art and introduces international contemporary art trends to the mainland of China. 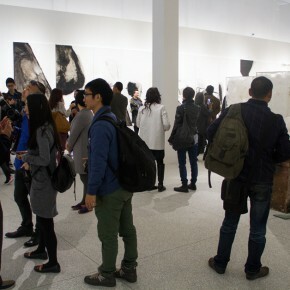 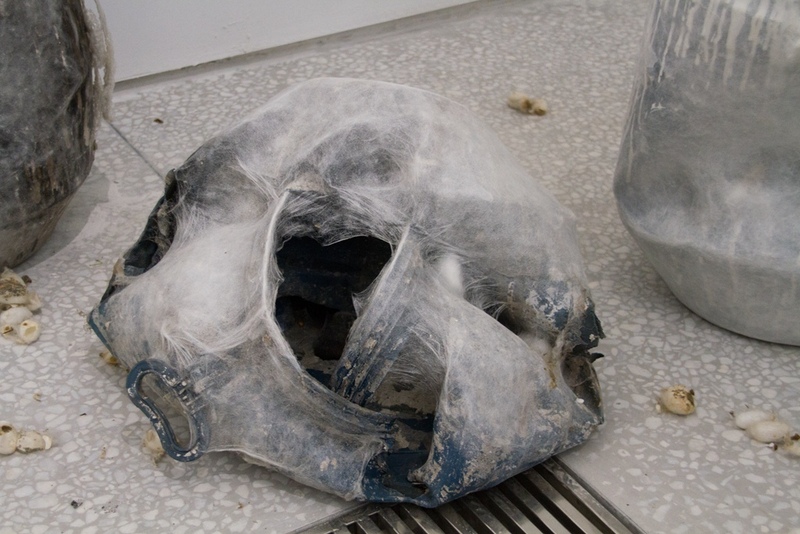 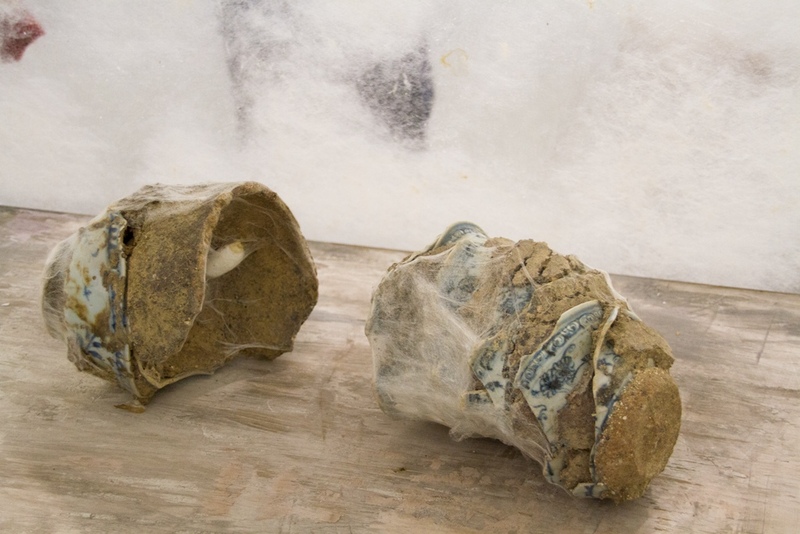 Kylin hopes to provide a creative independent contribution to the contemporary art system through its systematic work of research, exhibitions, forums, publications, funds, markets, galleries and media. 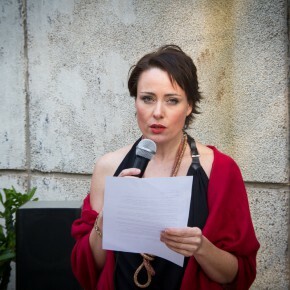 International communication and transmission are the institute’s highlights. It will build an internalized platform by consistently working and sharing with more people. 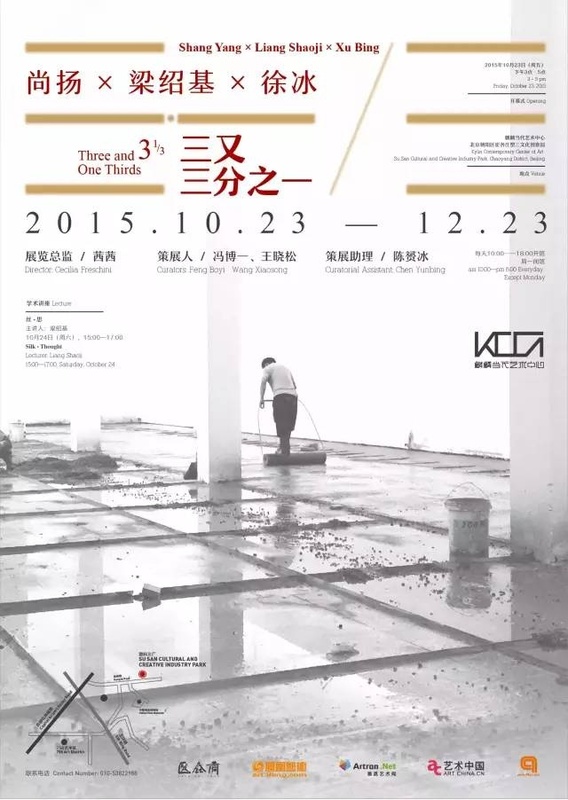 Courtesy of the artists and Kylin Contemporary Art Center, text and photo by Zhang Wenzhi, partly translated and edited by Sue/CAFA ART INFO. 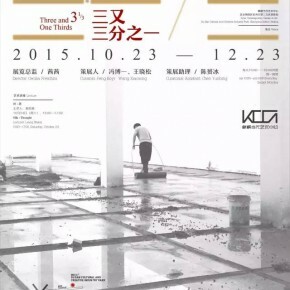 The Art Museum of CUHK presents "Heralds of Spring: Celebrating the Year of the Rooster"